A recent JAMA article (Parienti et al, JAMA 2008) was presented in journal club today which involved a randomized control trial looking at infectious and other complications seen in patients with acute kidney injury in an ICU who were randomized to receive dialysis via either (a) a femoral catheter, or (b) an intrajugular catheter. 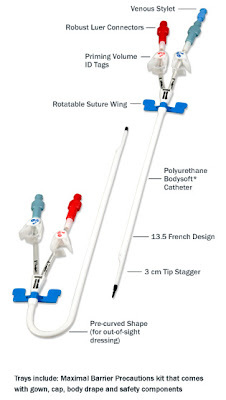 Traditionally, I have always been taught to do an intrajugular catheter if at all possible given the additional infectious risks associated with long-term femoral catheters. Indeed, the KDOQI Guidelines state that temporary femoral catheters should be left in for only 5 days whereas temporary IJ catheters may be left in for up to 3 weeks. Interestingly, however, the study found no significant differences in infection (as assessed by catheter tip culture growth) between the two groups! The study did find that patients who are more obese (BMI >28) have a greater infectious risk with femoral compared to IJ catheters. What was more suprising, however, was their finding that patients in the "low BMI" group (BMI <24) appeared to benefit from a femoral catheter compared to an IJ catheter. Why this should be the case is not entirely clear. Does this paper change my clinical practice? Not really, but it does make me feel justified in occasions where I'd prefer to do a femoral line (e.g. coagulopathy, relative urgency to start dialysis, unusual neck or thoracic anatomy), and it also confirms my suspicion that it's better (and often technically easier) to do a neck line in a morbidly obese patient. Although mutations in the gene HNF-1beta (or TCF2) were originally discovered in patients with mature-onset diabetes of the young (MODY), patients with these mutations more commonly present with a variable renal phenotype. Interestingly, a study by Egdhill et. al. (NDT 2008) looked at a cohort of 160 patients with unexplained renal disease and 38 (24%) had mutations in NHF-1beta! Most mutations arise de novo and hence there may not necessarily be a family history. The disease is inherited in an autosomal dominant fashion and may involve the formation of cystic kidneys, accounting for its being confused occasionally with ADPKD. 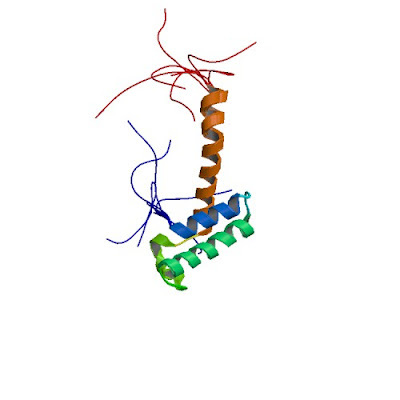 HNF-1beta is a transcription factor implicated in kidney development, and thus patients with these mutations are thought to have a problem with the congenital development of the kidney. 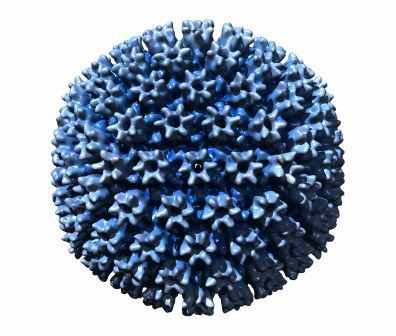 Hepatitis B--a disease which in the U.S. is on the decline due to regular childhood vaccinations--has a variety of interesting associations with renal disease. There are three distinct glomerular diseases with which the hepatitis B virus is associated. Hepatitis B can cause secondary membranous nephropathy, as well as MPGN (from cryoglobulinemia) and also has an association with polyarteritis nodosa (PAN). In addition, in the early 90s a variety of outbreaks of hepatitis B infection in dialysis patients was noted in a number of dialysis centers across the U.S. This has led to our current policy of using separate hemofilters for patients with hepatitis B seropositivity when they get dialyzed. Staghorn calculi are upper urinary tract kidney stones which involve the renal pelvis and involve at least two of the calyces. They are formed in the setting of an alkaline pH and urease-producing micro-organisms, which leads to the formation of "triple phosphate" or "struvite" stones comprised of magnesium ammonium phosphate crystals (MgNH4PO4•6H2O) mixed with carbonate apatite (Ca10 (PO4) 6•CO3) crystals. Urea-producing bacteria include Proteus, Ureaplasma urealyticum, Klebsiella, Staph species, and Pseudomonas; E. coli does not produce struvite stones. A few interesting historical tidbits: the name "struvite" was named after the Russian naturalist and minerologist Baron von Struve. Also, urease was the first-ever enzyme which was purified; it earned chemist James Sumner the 1946 Nobel Prize in Chemistry. I reviewed a paper in our Renal Journal Club today--Tumlin et al, Efficacy and Safety of Renal Tubule Cell Therapy for Acute Renal Failure in a recent 2008 issue of JASN--which tests a novel device termed the "Renal Tubular Assist Device ", or RAD. It is shown on the left by one of its inventors, Dr. David Humes. 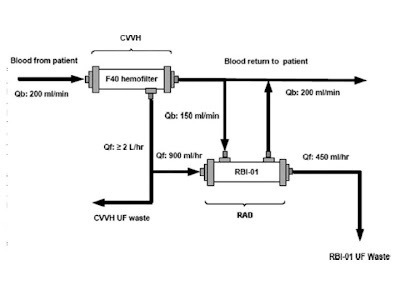 The device consists of a regular CVVH hemofilter which is then hooked up to a separate cartridge containing many thousand microfibers lined with human renal tubular epithelial cells. After filtrate is produced in the CVVH cartridge, a portion (about half) of the filtrate goes into the RAD cartridge, where the filtrate undergoes reabsorption. 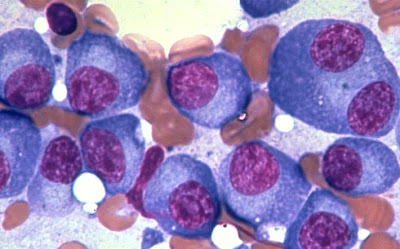 Blood bathes the extralumenal space of the RAD cartridge so that it can take back the stuff reabsorbed by the tubule cells before it is returned to the body. The idea here is that the RAD should provide a more physiologic means of renal replacement therapy, since instead of just solute removal and volume regulation, additional renal functions (e.g., endocrinologic, tubular reabsorption, ammoniagenesis, etc) are also achieved. The randomized control trial compared CVVH alone versus CVVH + RAD for a period of up to 72 hours. The published results suggest a mortality benefit in the CVVH + RAD group; however, the p-value of the study was non-significant, and furthermore a follow-up Stage IIb trial failed to show a beneficial (and possibly even showed a detrimental) effect of the RAD. In my opinion, this was an underpowered and thus inconclusive RCT which doesn't give a clear answer to whether or not it is a successful trial, but that the authors are to be commended for their vision in creating a new device for an illness which has a high mortality rate with few therapeutic options. The DCOR Trial was a Genzyme-funded randomized control trial--somebody recently told me the largest ever conducted in a dialysis population--designed to compare the phosphate binder sevelamer (Renagel) with Ca-containing phosphate binders (calcium acetate a.k.a. Phoslo or calcium carbonate). 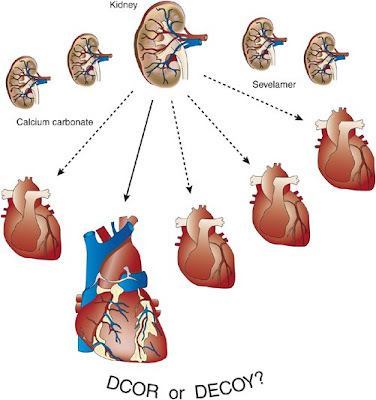 The theory behind the trial is that since cardiovascular disease is the #1 killer of ESRD patients, and since vascular calcifications are hypothesized to cause accelerated atherosclersosis, then a non-calcium-containing phosphorus binder such as sevelamer would be expected to not contribute as much to vascular calcifications and cardiovascular disease. Sounds good, but the primary end-point of mortality was identical in the two groups. In "sub-group analysis", there was allegedly a trend towards benefit in the sevelamer group in those >65 years of age or those who had been taking the medication for >2 years, but overall there seems to be a consensus that this represents a negative trial. 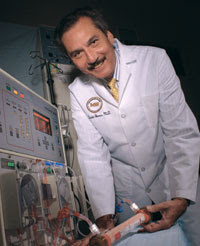 When somebody receives a kidney transplant, the current strategy is to hit them hard with immunosuppression initially--using potent medications such as thymoglobulin, Cell-Cept, steroids, and tacrolimus at higher levels--and that medication can generally be tapered to much lower levels with time without putting the patient at any additional risk for rejection. The reason for this stems from the difference between direct versus indirect T-cell stimulation. In the early (e.g. 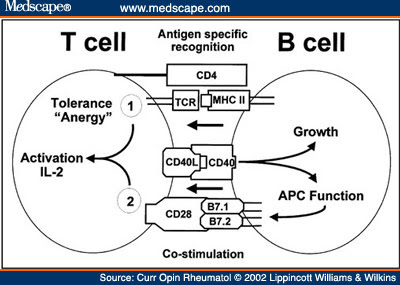 first 3 months) transplant period, donor antigen-presenting cells, typically B-cells, are able to directly stimulate recipient T-cells when the donor MHC itself is recognized as foreign by recipient T-cells. This leds to a robust immune response which is 100x more potent than indirect T-cell stimulation, in which recipient MHC presents processed, donor antigens to recipient T-cells. The late (e.g. after 3 months) immune response is dominated by the indirect immune response since most of the donor B-cells are now dead at this time point, and the indirect immune response is easier to control. I saw a patient in Transplant Clinic today with a strong family history of chronic kidney disease requiring dialysis and periodic fevers. She was coming to the Transplant Clinic because she wants to be considered for a potential renal transplant. Both the patient, her brother, her sister, and her father--a family of English-Irish descent--had a history of high fevers and progressive renal disease. Biopsy of the kidneys previously has revealed nodular deposits with positive apple-green birefringence with Congo Red staining. It turns out this family has TNF Receptor-Associated Periodic Syndrome (TRAPS), also known as Hibernian Fever, which is due to mutations in the gene encoding for tumor necrosis factor receptor 1. The disease manifests as recurrent fevers and a chronic inflammatory state, similar to other hereditary periodic fever syndromes such as familial Mediterranean fever (FMF) or Muckle-Wells Syndrome, and the reason these individuals may get renal disease is due to AA amyloidosis. Patients with TRAPS can (logically enough) be treated with etanercept (Enbrel), a monoclonal antibody against TNF and prednisone. 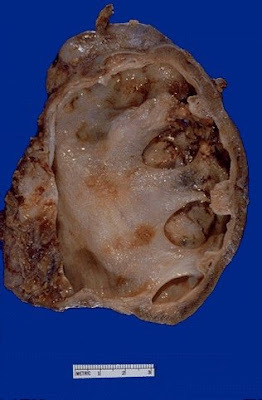 The patient described is being considered for a cadaveric renal transplant but has been warned that there is a strong possibility that amyloid deposition in her future allograft could occur. Multiple myeloma and renal disease often go hand-in-hand, and it has a differential diagnosis which is fascinating in terms of its breadth. Although we often diagnosis many of these patients with "cast nephropathy", my suspicion is that some of the more rare etiologies listed below are underdiagnosed since kidney biopsies in these patients are often not performed on account of significant comorbidities or the fact that often the treatment (myeloma-specific therapy) would be the same regardless. 1. "Cast Nephropathy": caused by precipitation of monoclonal light chain with Tamm-Horsfall protein and subsequent tubular obstruction. Lambda light chains are most likely to cause cast nephropathy. Often when the terms "myeloma kidney" is used, "cast nephropathy" is the implied mechanism. These patients may also have an undetectable urine protein on dipstick (which detects only albumin) but a high 24-hour urine protein (which detects all protein). 2. 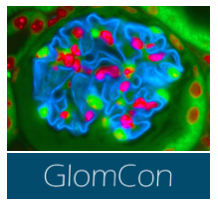 Light Chain Deposition Disease: caused by glomerular damage by deposition of serum light chains within the glomerulus. In contrast to cast nephropathy, LCDD is usually (85%) due to kappa light chains rather than lambda light chains. 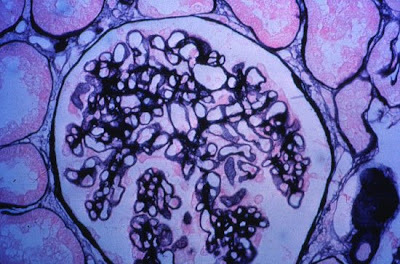 The light microscopy is characterized by nodular glomerulosclerosis (often similar in appearance to amyloidosis or diabetic disease) but can be differentiated from amyloid by its lack of Congo red staining. These patients will often demonstrate nephrotic syndrome. 3. Amyloidosis: caused by deposition of circulating paraprotein as amyloid fibrils, which appear as birefringent staining with Congo Red. As in LCDD, patients with amyloidosis may demonstrate nephrotic-range proteinuria, and other organ systems (e.g. restrictive cardiomyopathy) may also be involved. 4. hypercalcemia-induced AKI: patients with myeloma often present with hypercalcemia as a result of osteolytic lesions that can result in acute kidney injury, best treated with fluids, bisphosphonates, and lasix once volume-replete. 5. hypovolemia: in my experience these patients are very susceptible to volume depletion, and often demonstrate decreased po intake when getting chemotherapy or when developing progressive disease. 6. tumor lysis syndrome: rarely, patients with a large tumor burden will develop hyperuricemia and resultant tumor lysis syndrome when initiated on anti-myeloma therapy. 7. hyperviscosity syndrome: this is rare in multiple myeloma and more commonly occurs in IgM paraproteinemias such as Waldenstrom's macroglobulinemia, but can result in renal disease. 8. bisphosphonate-induced renal failure: many patients with hypercalcemia related to myeloma are treated with bisphosphonates, which have an interesting renal side effect profile. Specifically, pamidronate is associated with a collapsing FSGS/nephrotic syndrome picture, whereas zoledronic acid is associated with ATN which can progress to ESRD. 9. Fanconi's syndrome: proximal tubule dysfunction induced by paraproteinemias can result in a type II RTA. CVVH (continuous venovenous hemodialysis) is the form of CRRT (continuous renal replacement therapy) used in our hospital. Although most studies have not shown a mortality benefit in patients treated with intermittent hemodialysis versus those treated with CVVH, in my opinion there is a subset of patients--I'm talking the sickest of the sick, often patients on multiple pressors, sometimes those who are s/p major cardiac surgery on balloon pumps and/or ventricular assist devices--who require CVVH in order to achieve adequate volume removal. At our hospital, there are two main types of CVVH replacement solution that we use: bicarbonate-based and citrate-based. Both provide adequate base, as citrate is metabolized to bicarbonate in the liver. Citrate provides superior anticoagulation to bicarbonate alone; it's also advantageous in that it provides extracorporeal anticoagulation while avoiding systemic anticoagulation, as the Ca gluconate drip which is administered simultaneously to the blood as it re-enters the body binds to and neutralizes the citrate. Bicarbonate can be given with heparin but obviously this comes with some cost of internal bleeding. If a patient is already on heparin for something (e.g. MI, valve replacement) I would generally choose bicarbonate. Citrate-based replacement solution should be avoided in patients with severe liver failure or an anion gap metabolic acidosis; these problems predispose to citrate toxicity, which is reflected as an elevated total calcium but a decreased ionized calcium with a subsequent anion gap. When one is just beginning as a nephrology fellow, it may seem as if all the major glomerular diseases (e.g., membranous nephropathy, FSGS, lupus, etc) are all treated with the same protocols and same immunosuppressive agents: steroids, Cytoxan, Imuran, MMF, Rituxan, etc. To some extent this represents the relative dearth of randomized controlled trials within the field of nephrology. However if we use the evidence available to us, there are certain protocols which are specific to certain diseases. Not everything responds to steroids--for example, while it is reasonable to attempt a course of steroids alone for FSGS, there is good data to suggest that steroids alone does NOT have an effect in individuals with IgA Nephropathy. One of the landmark protocols for glomerular disease is the so-called "Ponticelli Protocol", used in the treatment of idiopathic membranous nephropathy. 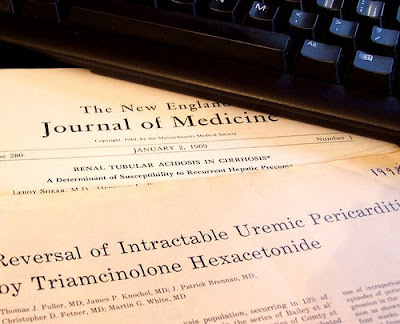 The 1992 NEJM paper describes the randomization of a group of patients with biopsy-proven membranous nephropathy to one of two regiments: (a) a 6-month course of steroids alone, or (b) a 6-month course of alternating monthly steroids and chlorambucil. The rate of remission was significantly lower in the steroids/chlorambucil group, thus giving rise to the first effective therapy for this disease. Months 1, 3, and 5: Solumedrol 1000mg iv daily x 3 days then prednisone 0.4 mg/kg/d x 27 days. Months 2, 4, and 6: CTX 2.5mg/kg PO daily x 30 days. IgA Nephropathy is the most common cause of glomerulonephritis globally. It is especially common in Japan, although some of this prevalence may be due to increased screening (all school children undergo a screening urinalysis as part of their normal workup, and as a result many cases of hematuria which normally would go undetected gets worked up). 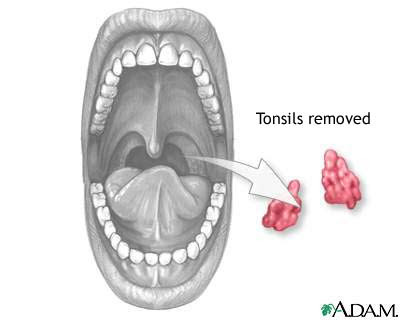 One of the treatments widely used for IgA Nephropathy there is tonsillectomy. The idea here is that IgA Nephropathy commonly presents with so-called "synpharyngitic glomerulonephritis"--gross or microscopic hematuria, often with transient renal injury, which coincides with the onset of strep throat. Repeated infections can lead to repeated glomerular injury and eventual renal decline; tonsillectomy would be hypothesized to cut down on the number of episodes of pharyngitis and thereby limit the degree of renal damage. We have one patient in our clinic right now we are presently trying to convince to undergo tonsillectomy; we will see if he heeds our advice. 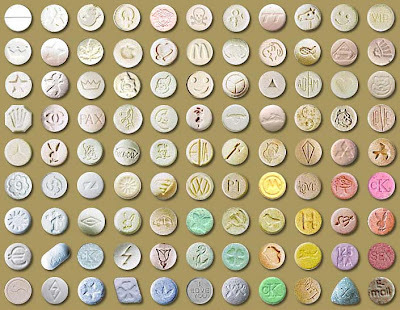 The recreational drug ecstasy (MDMA) is known to result in hyponatremia--which has been reported to result in seizures and death--has a multifactorial mechanism which is interesting. MDMA is associated with elevated ADH levels. In addition, individuals who take ecstasy are often encouraged to drink large amounts of water to "dilute" out the drug for concerns regarding drug testing, and their may even be an increased thirst drive in addition to this. Heard an interesting presentation at our Renal Grand Rounds today regarding a young patient with end-stage renal disease secondary to sickle cell disease who is continually admitted for sickle cell crises. The question arose whether or not erythropoietin therapy would be beneficial in the treatment of his anemia. If the EPO stimulates predominantly HgbS production, one could make the case that it may actually induce sickling. 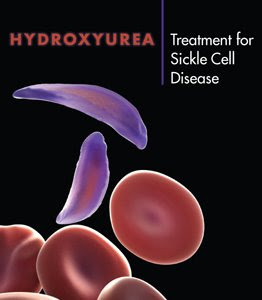 However, there is some data (Little et al, Heamatologica 2006) that when given in conjunction with hydroxyurea, erythropoietin actually increases HgbF production and is safe in the setting of sickle cell disease. 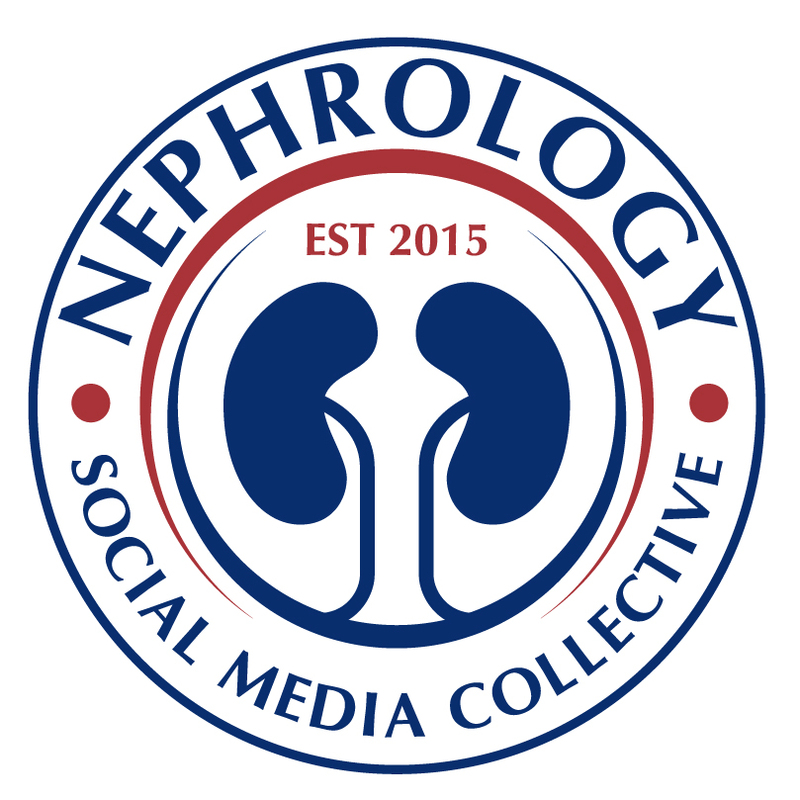 Sickle cell disease has a variety of renal manifestations--largely as the result of vaso-occlusive phenomena--which includes secondary FSGS, hypertension, chronic hematuria, renal infarction and papillary necrosis, nephrogenic diabetes insipidus, Type I RTA, and occasionally ESRD. CMV (cytomegalovirus) infection is quite common in the transplant population, and fortuantely the development and utilization of valganciclovir (Valcyte), an oral prodrug of ganciclovir, as a prophylactic agent has dramatically cut down on the number of CMV infections in the transplant population. However, CMV infections certainly can and do occur; it is important to know the donor & recipient CMV status (not surprisingly; a CMV-negative donor transplanted to a CMV-negative recipient is the lowest risk; a CMV-positive donor transplanted to a CMV-negative recipient is the highest risk). In addition, the spectre of drug-resistant CMV infection is a difficult-to-manage scenario. We have one patient on our service currently who provides a nice demonstration of the different agents that can be used in the management of CMV. She presented with fevers and rising CMV titers while being treated with Valcyte; subsequent culture documented a true ganciclovir-resistant CMV strain. She was subsequently treated with foscarnet, until acute allograft dysfunction from foscarnet-induced nephritis forced us to stop this medication. She was later started on a regimen of weekly iv cidofovir infusions along with oral leflunomide, a drug initially developed for the treatment of rheumatoid arthritis as an immunosuppressant but later found to have both anti-BK and anti-CMV activity. While her viral load fell nearly 10-fold on this regimen, she had severe ocular toxicity (blurred vision, uveitis, and eye pain) which was felt to likely be due to cidofovir. She is presently being managed with leflunomide and decreased immunosuppression, and we will see how her CMV titers respond. Autosomal Dominant Polycystic Kidney Disease (ADPKD) is caused by the autosomal dominant transmission of mutations in one of two genes identified thus far: PKD1 (which accounts for about 85% of all cases and encodes for the polycystin-1 protein) and PKD2 (which accounts for about 15% of all cases and encodes for the polycystin-2 protein). There are some commercially available services which will sequence the entirety of the PKD1 and PKD2 genes to search for mutations in order to help make a diagnosis of APKD in patients who are at risk (e.g., in younger patients born to a parent with ADPKD who therefore has a 50-50 chance of getting the gene but may not manifest a phenotype until they are older). However, such assays only pick up about 60-80% of mutations. This is mostly due to the genetic complexity of the PKD 1 gene: it is extremely large (46 exons), there are nearby pseudogenes with sequences that are highly homologous, and the gene is filled with polymorphisms (making it difficult to deterimine if a given sequence variant is pathogenic or not). However, the identification of specific mutations by genetic sequencing has been valuable in certain instances, such as if a young family member wishes to donate his/her kidney to a parent with ADPKD and wants to find out if they have inherited the family PKD mutation or not. We are all familiar with "uremic pericarditis" as one of the standard indications for initiating dialysis, and the number of physical exams with a negative cardiac rub I have documented this year is truly impressive. Which is why, earlier in the year, I was quite surprised when I auscultated a pericarditis rub a few months on a patient who we had just recently initiated on dialysis. The complication is not seen as much as it used to be, likely because we don't let patients achieve such an advanced stage of uremia in the modern medical era. This particular patient had some delay in initiating dialysis (she was fairly reluctant to begin and has to be talked into it over a several week-long period following a vascular surgery). She did not have a rub prior to starting dialysis, and our hand-waving theory as to why she didn't develop a rub until her 3rd or 4th dialysis session was that the partial improvement of her uremic state enabled an inflammatory reaction in the pericardium due to relief of a uremically-suppressed immune system. Unlike other forms of acute pericarditis, uremic pericarditis classically does not demonstrate diffuse ST-elevations. The condition is treated with frequent dialysis (often daily) or, if tamponade physiology is present (as with our patient) pericardiocentesis may be required. Indomethacin or prednisone may also be employed. Heparin-free dialysis is preferred to avoid hemorrhage into the effusion (which is not altogether uncommon given simultaneous uremic platelet dysfunction). When you are called at 5pm to start pheresis on a patient with Wegener's granulomatosis who is already on dialysis...there is a certain part of the renal fellow which wants to say, "Come on--the dude is already on dialysis--what are we trying to save here?--my guess is that it's Game Over." Well the results of the MEPEX trial would suggest otherwise. The trial was a randomized control trial in which 137 patients with ANCA-associated vasculitis and a serum Cr > 5.8mg/dL were randomized to receive either 7 sessions of plasma exchange over a 14 day period or Solu-Medrol 1000mg iv qd x 3d. In addition to these therapies, all patients also received prednisolone (1mg/kg/day, tapered over 6 months) + Cytoxan (2.5mg/kg/day x 3months) followed by Imuran for maintenance of remission. Importantly, the plasma exchange arm was associated with an improved mortality and improved renal function (43 versus 19% risk of progression to ESRD at one year), and many of the patients in the pheresis arm were actually able to come off dialysis. 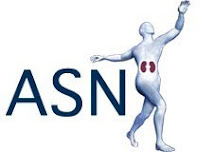 The benefit was typically seen within the first 3 months of therapy, so many nephrologists will treat ANCA-associated vasculitis aggressively (e.g., pheresis, steroids, Cytoxan) for a good three months, and if they're still on dialysis to stop if there's no response. There are many diseases which can recur following renal transplant: examples include IgA Nephropathy (which has a very high rate of recurrence on follow biopsy but is rarely clinically relevant in that it does not cause significant allograft dysfunction) and diabetic nephropathy (which frequently recurs but often takes many years to cause allograft compromise). Probably the most clinically important example of disease recurrence following transplant is in primary focal segmental glomerulosclerosis (FSGS), which manifests as nephrotic-range proteinuria and worsening renal function. One study in NEJM from 2002 estimated the incidence of graft loss due to recurrence of FSGS at about 12.7%. However, once an individual has disease recurrence in one allograft, the chances of having repeat recurrence in a subsequent allograft are much higher, estimated by some at >75%! This speaks to the presence of some circulating humoral factor, such as a cytokine which has yet to be identified) as the causative agent in primary FSGS. Treatment for FSGS recurrence may include plasmapheresis, IVIG, Rituxan, or steroids. There is an interesting paper in the literature which just came out--I have to admit that I'm a little biased since the senior author is my father, also a nephrologist--describing the dialysis of the most obese patient ever reported in the literature to undergo dialysis. He weighed in at 466 kg (1,024 lbs) and had a BMI of 125. The article is published in the American Journal of Kidney Disease and the article is entitled, "Challenges of Treating a 466-kilogram Man With Acute Kidney Injury."